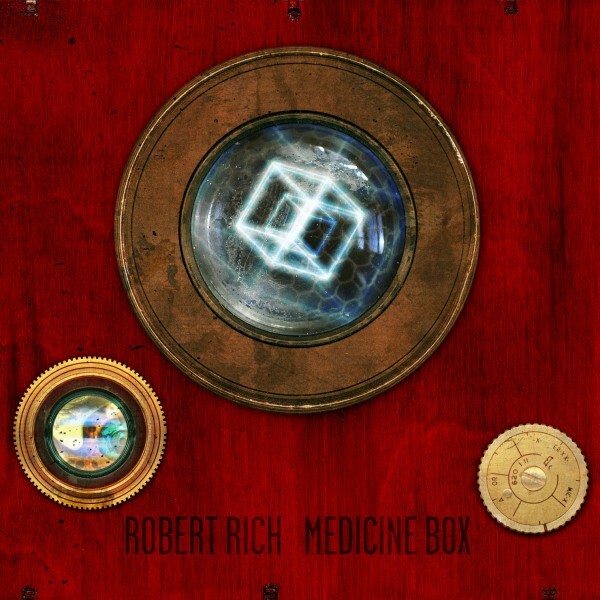 Ecstatic, shamanic, surreal, spiritual: Medicine Box may be Rich‘s most dynamic album yet, an adept blending of technology with the ancient. Chari Chuang‘s wordless crystalline voice graces three songs, with traces of Persian inflection. Deep basslines hint at dub, while analog synth skitters and chuffs the outlines of a rhythmic grid, propelled forward by pulsing north African drums. Sustaining guitars bring a psychedelic edge. Cello and reeds echo plaintively in the distance. Rich‘s sparse piano adds droplets of modal jazz to this dark tea.